Public-private partnerships (PPPs), the preferred way these days to develop infrastructure like highways and airports, is a curious thing: it is both public and private. Thus, the Delhi airport is on public land, but developed and maintained by a private party. Should the comptroller and auditor general (CAG) check its finances, the way it does for all departments and schemes involving public money? However, this old debate has an update. On September 21, the public accounts committee (PAC) of parliament took a rare step of calling CAG Shashi Kant Sharma to discuss the issue. Audit officials of CAG argued with the MPs for close to three hours on the relevance of public auditing of PPPs. At the end of the meet, PAC decided to form a sub-group to “suggest ways to empower the CAG to audit PPP model projects”, according to a report in the Indian Express. The development raises a few questions from the perspective of public finance and accountability. First and foremost of these is, do parliamentarians indeed share the concern of CAG officials about legal constraints that arise from considerable ambiguity in the CAG (Duties, Powers and Conditions of Services) Act, 1973? The track record of the legislative wing on strengthening public auditing function by CAG has not been very shining and in the past there have been attempts (in 1997, 2001, 2003 and 2005) to clip CAG’s mandate. Assuming that PAC indeed wishes to strengthen and widen the ambit of CAG’s public audit function, who shall decide on the issues such as ‘audit methodology’ and ‘audit scope’ when it comes to auditing PPPs: CAG or PAC? Since PAC happens to be the parliamentary institution mandated to take up CAG audit reports for discussions, wouldn’t it do well to also focus on the thorough follow-up and course correction based on CAG audit findings on PPP projects? Even as that debate raged in print media, the supreme audit institutions (SAIs) in various nations were debating how to safeguard public interest by asserting their role in auditing PPPs. The International Organisation of Supreme Audit Institution (INTOSAI) had in the 1990s constituted a working group on privatisation to build capacity of SAIs on PPPs. In 1998, this working group published the ‘Guidance on Best Practices for the Audit of Privatisations’ and in 2001, INTOSAI issued PPP audit guidelines. Three years later, INTOSAI published ‘Guidelines on the Best Practices for the audit of Risk in PPP’, followed by certain comprehensive recommendations based on the findings of a workshop on PPP audit in 2007. 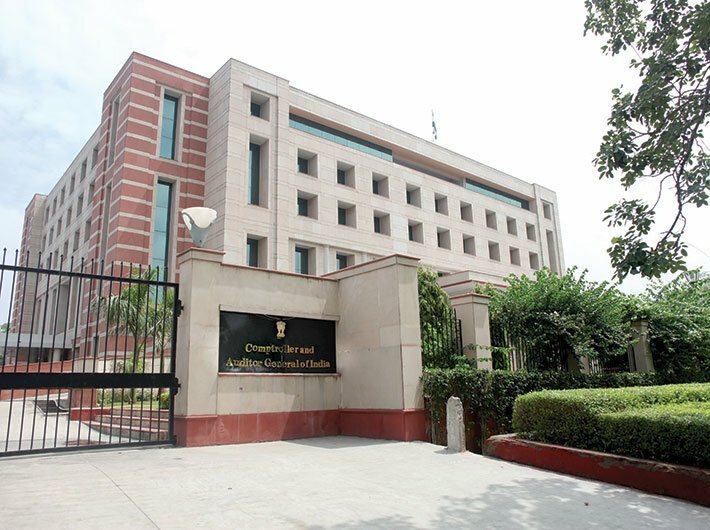 Even as CAG officials were gearing up to perform their constitutional mandate to safeguard public interest, they viewed the law which shapes its auditing mandate as somewhat archaic. They proposed that it be amended so that public auditing function can be expanded to audit PPP arrangements. The October 2008 AG conference would also be remembered as a sign of CAG opening up for deepening its interactions with citizens. The conference website could be accessed by interested citizens and discussion papers could be downloaded. It would have helped if that culture of subjecting itself to public engagement had continued and the draft amendment bill was put in public domain. Alas, the draft amendment bill still remains locked away and a common citizen only knows that such proposed amendment bill still awaits the cabinet consideration. Even as the PPP auditing guidelines entered public domain, it wasn’t the case that PPP arrangements were not audited. These guidelines were followed by CAG issuing “protocols for accessing the records of the private entities” in July 2014. In August 2016, the professional practices group within CAG issued ‘guidelines for compliance audit of PPP arrangements’ and circulated them to all field audit offices. This guideline comprised (i) a factsheet for maintaining database of PPP arrangements, (ii) indicative risk parameters and (iii) indicative checklist for audit of PPP arrangements. Let’s hope that PAC starts looking up for the evidence on PPP arrangements that CAG audits have presented so far, since even a cursory search on CAG website for the word ‘PPP’ shows up 529 records. While a sustained dialogue between professional practices group of CAG and PAC members (or the proposed sub-committee) may have potential to help IAAD’s plans to strengthen the compliance audit of PPP arrangements, it remains to be seen what ways would be proposed by the sub-committee and how would the ruling government respond to its recommendations. Upadhyaya is assistant professor at School of Development, Azim Premji. University, Bengaluru.